As the two Sudans remain locked in vicious border clashes, the humanitarian costs are piling up. The Sudanese border states of South Kordofan and Blue Nile continue to be at the crux of this precarious situation and with the rainy season projected to begin at the end of April, the need for unrestricted humanitarian access to the region is critical. On March 30, Representative Barbara Lee (D-CA) along with 67 of her fellow members of Congress sent a letter to President Barack Obama and Secretary of State Hillary Clinton highlighting several upcoming opportunities the U.S. has to address the urgent situation in Sudan. 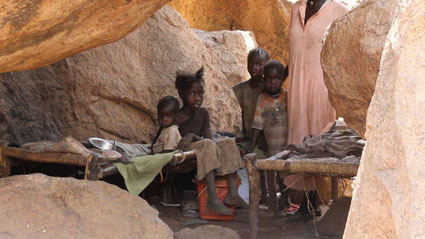 Specifically, the letter notes, “the United States will assume the rotating presidency of the United Nations Security Council in April and…will host the G8 summit at Camp David in May.” The U.S. should seize these opportunities to focus international attention on the worsening humanitarian crisis affecting populations along Sudan’s southern border, the elected officials advised. The letter acknowledges that the Obama administration has already taken significant and laudable steps towards addressing the deteriorating situation in Sudan and asks that it continue this momentum by using its upcoming U.N. Security Council presidency to pressure Khartoum into accepting and implementing the terms presented in the Tripartite Proposal. However, the letter also warns, “Khartoum’s notorious ability to delay and its failure to honor agreements suggest that a more robust, consistent and coordinated approach is needed to protect the lives of vulnerable populations.” While the preferred solution is negotiated access, time is running out and the need to consider other options, consistent with the international community’s responsibility to protect, are becoming more pressing. The U.S. presidency of the UNSC and the G8 summit give the U.S. two key opportunities to take a strong leadership position and push for hard decisions to be made. The congressional letter reflects the commitment by members of Congress to make sure Sudan remains a priority. You can also take part in ensuring that the United States takes an urgent yet comprehensive approach towards engaging with Sudan by asking your representative to support the Sudan Peace, Security, and Accountability Act of 2012.